The major events in Holland this year seem to be geared towards getting you outdoors and eating some fine food. That certainly doesn’t seem like too bad an idea, let P&O Ferries’ Hull to Rotterdam ferry take you there this summer to attend some of the fabulous exhibitions and finest foods. Plan your holiday early and get to Amsterdam for the Tulip Festival. The city itself seems to bloom but if you’d like to get out and see them grow then there are areas surrounding the city with tours in place. 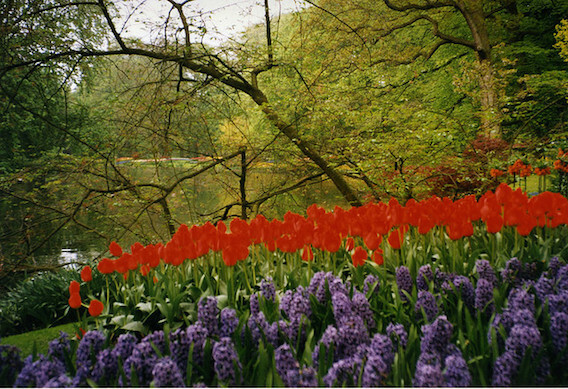 In particular it will be worth visiting the Keukenhoff gardens, one of the more famous sites to see tulips grow. While the sun shines you can take a bike tour of the country. The flat landscape makes it easy to get about by bicycle, in fact it is encouraged with handy maps for sale that’ll take you through the landscape from charming local villages through fairytale like scenes of nature. Keukenhoff closes on May 17th so time is running out for you to get there. They are hosting a family event on the first weekend of the month with picnics in the meadows, a Sesame Street theme Elmo’s birthday and there will also be falconry displays later in the afternoon. For more information Click Here . The following weekend Keukenhoff will be extending invitations to all the lovers out there. The Romance Weekend promises to be a idyllic setting for any couple to look back on with bliss. Stages are being set up to provide performances of romantic classical music and live dance, you’ll have the chance to take boat trips in the pond and picnic amongst the blooming flowers. For more outdoor fun visiting Vondelpark is always a great destination for anyone spending time Amsterdam during the summer. 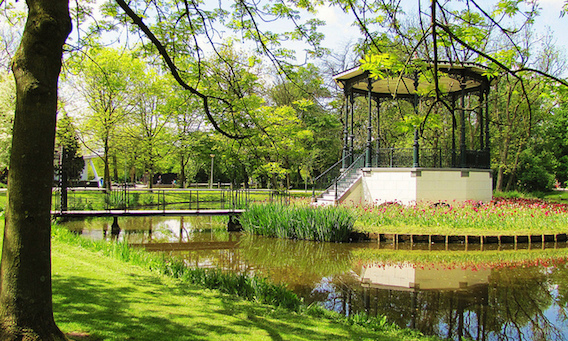 Vondelpark is situated in the heart of Holland’s capital near the Van Gogh museum. During the summer months it hosts an open air theatre which is free for everyone, though it’s only polite to make a donation. The showcase will be running from May all the way through to August and shows are put on each weekend starting Friday night. It’s essentially a party every weekend of the summer for all who come strolling in to the park. Live music in all its varieties from classical to jazz and operetta – over the weekend the stages will also show live comedy and children’s theatre too. For the foodies out there a P&O Ferry to Holland will absolutely be worth your time, there’s food festivals aplenty this summer. To begin with the ever popular Alkmaar Cheese Market is now open, you can attend every Friday right up until September. This market is one of the major attractions to Alkmaar, a city just north of Amsterdam. The cheese market dates back to the 1300s and these days is as much about pageantry as there is cheese. Be warned these people take their cheeses seriously though. This is a serious operation happening once a week, the staff of market and scales masters, throwers, placers and traders are responsible for over 22,000 cheeses – a heavy burden indeed. This is an event heavy on tradition so to witness some of the ceremonial formalities head to Waagplein, the weighing square, to see folkloric guild pomp at its very best. If don’t delight in being baffled by native customs there are tour guides available to take you through the market to help offer some explanations. 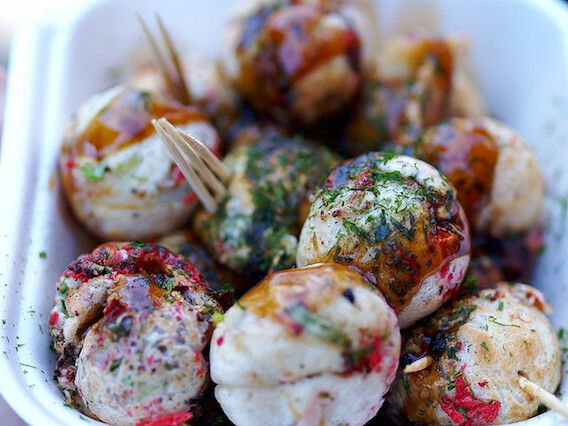 From June 4th-7th Taste of Amsterdam 2015 will have armies of people smacking their lips in delight. If you take pleasure in food, wine and music you will have reached your promise land. The seven day event will be punctuated by live performances of jazz and soul music. Chefs from around the world will be serving up the very finest of cuisines in mini dishes so you’ll be able to make the rounds. Taste of Amsterdam has also invited professional sommeliers to hold talks in the Wine Club helping you to pair vintages with different dishes so you’ll be just a bit wiser the next time you host a dinner party. For fun there will also be a Ready, Steady Cook competition and kids’ entertainment from cupcake and chef hat decorating to foodie quizzes. If it all gets a bit inspiring then a food market is in place for you to buy all that’s needed for you to try and whip up a meal of your very own. You’ll need to purchase tickets €9,50 per day for more information Click Here . The days of May and June are reserved for the Holland Festival in Amsterdam. This is one of the largest international artistic festivals to be held in the country and promises to be one of the high points of the calendar year. The Holland Festival has been running annually since 1947 and displays the broadest possible spectrum of art forms. What makes this event so unique is that it’s a paradigm breaker, blurring the lines between high and low art. The program reads ‘The future is with impure art’ there’s no aesthetic elitism here. Though the highest quality performances are sure to be seen you won’t be walking amongst a crowd of ready to sneer critics. The price of entry is just €7,50 and events are being hosted in theatres across Amsterdam. Let P&O Ferries take you from Hull to Rotterdam this summer and be at the heart of it all in Holland 2015.